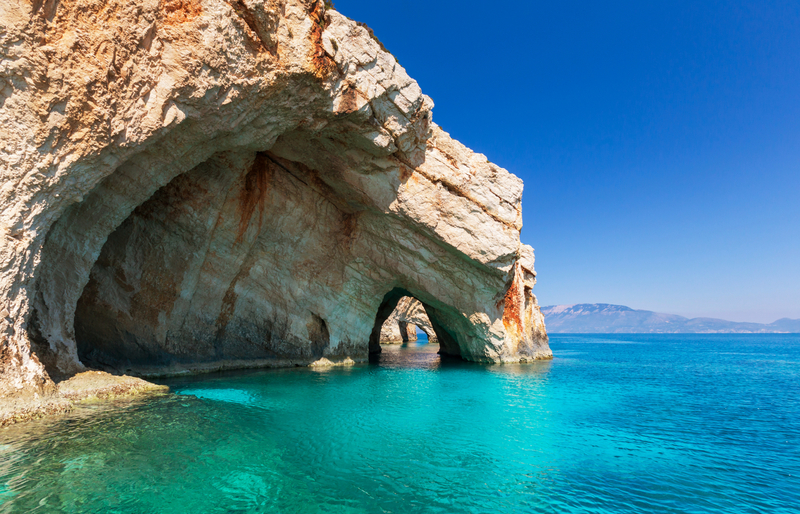 Greece has many beautiful islands, each with its own charm. The Ionian Islands are special and famous from many points of view: beautiful view, interesting history, deep and cool sea water, abundant olive groves, vineyards, and lovely beaches. Inhabited since Paleolithic times, these islands have an important cultural heritage due to the many invasions and occupations that left a mark. The Ionian Islands were part of the Byzantine Empire until 1204. Then, they were ceded to the Venetians and later on the islands were under a British military “protectorate” until they were ceded to Greece in 1864. The influence these countries and cultures had is visible almost everywhere on these islands: architecture, style, so a visit here will enchant you in more ways than one. 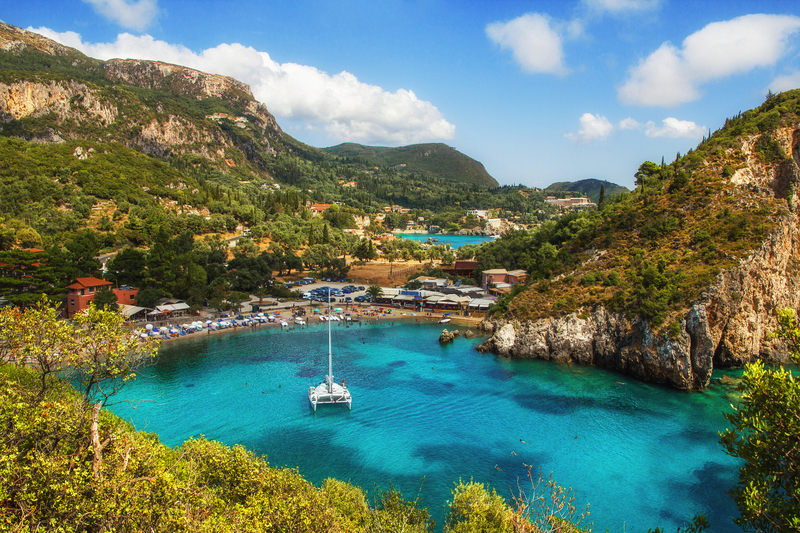 Considered one of the most beautiful Greek islands, Corfu is the island with the most powerful British influence. 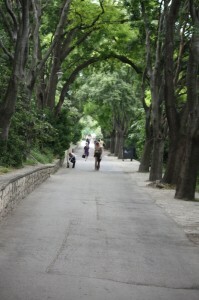 It is also one of the greenest islands and famous among tourists worldwide. You will also find here some of the most beautiful beaches in the Mediterranean. You might have already heard about the Shipwreck beach, or seen photos of it. Zakynthos is another famous Ionian Greek Island. The southern part of the island is the favourite one among tourists, though the entire island is beautiful. Laganas is a beautiful area, a small village with a special charm worthy to be visited/discovered, thing which is easy to do as there are some beautiful accommodation options here. Italian and British tourists love this island. But they are not the only ones. 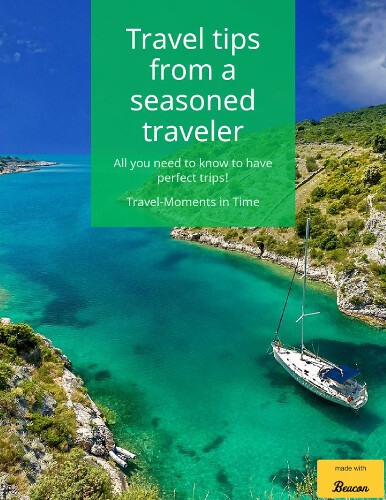 Kefalonia awaits its visitors with beautiful landscape, an interesting geology, caves waiting to be explored, underground lakes, and, of course, beautiful beaches. The island of Odysseus, yes, the origin of Homer’s literary masterpiece. A beautiful island with hiking opportunities (in the northern part), lovely fishing villages and beautiful beaches. Completely cut off from the continent, this island is famous among the locals (apparently rich Athenians go here), but also among tourists (in fact, if you plan a vacation here, you should book your accommodation in advance!) This is, in many ways, an off the beaten path island, so it may reserve you some nice surprises. Make sure you visit Hora’s Kastro, built in the 13th century and the main monument in the area. Also, make sure you don’t miss the Church of Panagia in your visit. 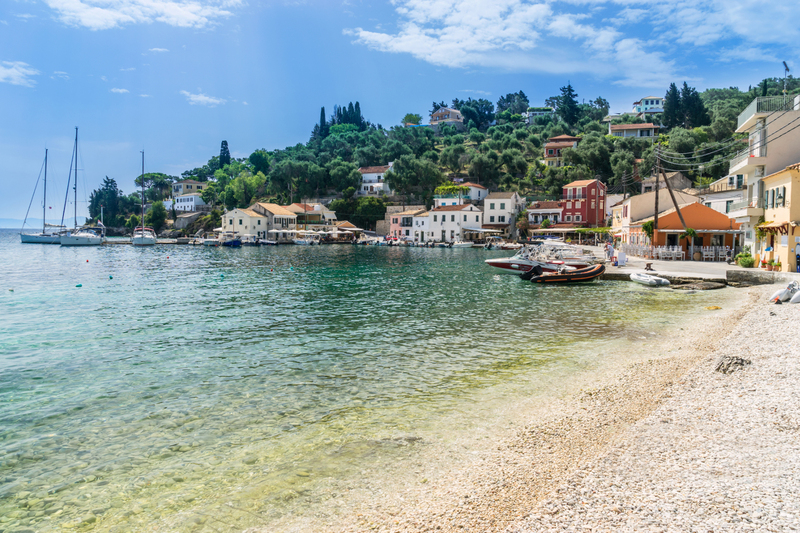 If you are in the mood for sandy beaches, then you should know that in Paxos you will find interesting pebbles beaches. So, if you choose this island, you’ll do it for other reasons. You may choose it as it is not so crowded. Here you can go by boat and discover splendid landscapes, cliffs, or caves. Some of the best beaches in Greece can be found in Lefkada. This island is connected to the continent and it is surrounded by other small islands. Regardless of the island you’ll choose, you will usually discover friendly people and will have the opportunity to eat tasty food. Greek Ionian Islands are magnificent! I have been in Corfu and Zakynthos, my favorite place is the shipwreck beach in Zakynthos, a place where you can see the true greatness of nature. Also, Corfu combines a great architecture and night life. Lefkada is not so graphical but has very beautiful beaches. I have yet to visit Kythira, Paxos and Ithaki, the famous island of Odysseus. Hello there! I could have sworn I’ve visited this blog before but after looking at a few of the articles I realized it’s new to me. Nonetheless, I’m certainly happy I discovered it and I’ll be book-marking it and checking back often! I don’t realize who you are however definitely you’re going to a well-known blogger should you are not already. You made some decent factors there. I seemed on the web for the difficulty and located most individuals will associate with with your website. Hiya! I simply want to give an enormous thumbs up for the great data you have right here on this post. I can be coming back to your weblog for extra soon. This website online is really a stroll-by way of for all of the information you wanted about this and didn’t know who to ask. Glimpse here, and you’ll definitely uncover it. I’m impressed, I need to say. Actually not often do I encounter a blog that’s each educative and entertaining, and let me inform you, you have hit the nail on the head. Your thought is outstanding; the issue is one thing that not sufficient persons are talking intelligently about. I am very blissful that I stumbled throughout this in my search for one thing relating to this.